The Need for "Pug Ed"
If you are a boxing trainer you probably know how to teach a fighter how to throw a punch. How to skip rope. How many daily rounds of sparring is necessary to prepare for a championship 12 round professional fight. You may even know how to manage an eye cut with adrenaline. But do you know when your fighter has received a concussion in training? Do you know how to check for it? Do you know the repercussions if ignored? As a trainer, do you know that the brain is the center of athletic ability? Do you know which parts play a major role? Do you know that a concussion can not only deteriorate higher mental abilities such as memory and critical thinking - but also slowly and irreversibly deteriorate an athlete's ability to perform athletically - undermine everything you and your athlete have invested in time, effort and training? Do you know that both concussive and sub-concussive blows over time time can lead to progressive and debilitating neurological disorders such as CTE, Parkinson’s Disease, ALS, and Alzheimer’s Disease? Are you familiar with the symptoms of these diseases? Many trainers will pull a fighter out of a fight when their fighter has sustained an orthopaedic injury such as a broken bone, torn ligaments or tendons. But few have any idea of the complications when it involves brain injury. Do you know when to pull your fighter out of a fight? Understandable if you don't, because some top trainers in past high profile fights certainly did not know. Case example was the war between Gerald McClellen and Nigel Benn. It is said that McClellan complained of headaches during the preparation for his fight with Benn. His trainers obviously did not understand the consequences - but even if the headaches drew concern - would it have made a difference given what was on the line with McClellen’s upcoming championship fight with Benn? After all they probably saw similar situations where a fighter had headaches and nothing immediately came of it. But even if McClellen did not complain of headaches before the fight, his corner invariably overlooked signs of brain injury (obsessive blinking, rubbing head, and slowed reflexes) during the fight. But so did the ringside physicians. The outcome of this fight was tragic. No McClellen was not outclassed by Benn. To the contrary, the bout was an even back and forth war - with neither man giving an inch - the difference, however, was that McClellen was conceivably neurologically injured either both before and/or during the fight. The blows that Benn delivered culminated in McClellen collapsing on the canvas into a coma. When McClellen awoke he was permanently paralyzed. As a coach, do you know when to throw in the towel when your fighter has taken too many blows in a fight? Do you have a checklist of the kinds of blows he has taken, a checklist of what to look for and a regard of the conceivable consequences that neurological disabilities that await him in the future? Philadelphia is famous for producing some of the toughest fighters in the history of the sport as it is for the legendary gym wars that claim responsibility for producing them. Legends such as Olympic Gold Medalists and World Champions Joe Frazier and Meldrick Taylor are products of that environment. As renowned as these gym wars were known for producing the game’s toughest men, they were also legend for shortening the careers of many. A classic example is the career of Meldrick Taylor. Winner of the 1984 Olympic Gold Medal in Boxing, Taylor went on to win the Welterweight Championship of the World. Taylor was a talented fighter who did not need to slug to win fights. But Taylor came up in the Philadelphia gyms - where you earned your badge of honor by walking through your opponent in sparring as opposed to defensively out-boxing them. Over time the gym and ring wars took their toll, culminating in a tragic end when Taylor faced Julio Cesar Sr. Many pundits observed that Taylor could have outpointed Chavez with his skills and talent to hit and move, but preferred to trade blows with Chavez to the fans delight. At the end of the 12th round, Taylor was dropped. Although he rose at the count of six with no time left on the clock, referee Richard Steele stopped the fight in what has since been a regarded as a highly controversial stoppage. Had the bout not been stopped, Taylor would have won a split decision on the judges' score cards. But if you look at Taylor after the fight you have to ask if the fight was stopped too late. Although Taylor started showing neurological effects after that bout, he was still was able to get a license to fight. Today, Taylor suffers from dementia. How could this be allowed to happen? Could it be that trainers and fighters do not understand the progressive long term effects? And if so should a trainer be allowed to train a fighter without this basic understanding when he is essentially being put in charge of a fighter's life? And what about the commissions and even the doctors who play a role in granting a fighter a license? Do they not also play a role in such matters? Because many fighters and coaches are not aware and/or or do not understand or care about of the dangers of head trauma - many fighters also fall prey to an unsafe and abusive gym environment. A famous and most recent example of this is was exposed when Floyd Mayweather Jr. and Showtime was sued by the Rahman family. The family said that Mayweather forced Rahman’s two sons to fight when they wanted to stop during the filming of an All Access Episode. "The doghouse -- the rules are you fight 'til whoever quits," Mayweather said in the episode. Later, a smiling Mayweather adds, "Guys fight to the death. It's not right, but it's doghouse rules." Mayweather was called in to answer to his remarks before the Nevada State Athletic Commission (NAC). Mayweather stated that his comments were not true and were to only promote the fight. The NAC questioned Mayweather about the "doghouse" fights, accepted his testimony (which was not taken under oath) and adjourned the matter to the chagrin of many, since there were many other people in the gym, including Showtime production personnel, who were not questioned about what happened. Given the weakness of NAC's inquisition, combined with the fact that there is no higher court of authority than the state athletic commission and the conflict of interest a state athletic commission has with a high powered promoter like Mayweather who brings in millions of dollars is a small number of reasons why there needs to be a Federal Oversight Committee in boxing which Protect The Pug is petitioning. Was Mayweather telling the truth before the NAC? Mayweather's mockery of the fighter who was hit hard, knocked down and had no equilibrium when he tried to get up looked very real. And if Mayweather was telling the truth to the NAC, the portrayal that was scripted and promoted in the All Access documentary does not set a good example for fighters, coaches and gyms who idolize and emulate Mayweather. Currently, both Boxers and MMA trainers are neither certified nor require any formal education when it comes to having an essential neurological understanding of their fighter's health. And that does not even address the same problem with uneducated coaches in other contact sports. At a minimum an MMA or boxing trainer's understanding of neurology is urgently needed given they are currently not required to have any medical education or certification, but rather only a subjective idea on what is excessive head trauma which accompanies no understanding of its consequences. Yet despite this ignorance, non-medically certified trainers have the welfare of a fighter's life in their hands and are allowed to accompany them into the ring. Police officers are psychologically tested for their competency to serve the public. Similarly, a psychological exam for a contact sport's trainer is also necessary for several reasons: 1. To help rule out any signs or predispositions to sadistic behavior. 2. Given most trainers are ex-fighters and have been exposed to consistent head trauma, they may be psychologically compromised due to undiagnosed and progressive diseases like CTE and therefore have impaired psychological judgement. To reduce the incidence of head trauma and corresponding progressive neurological disorders like CTE, we at Protect The Pug have designed a Pug Ed online course and exam. This online certification program is designed to teach the trainer basic neurological skills that he should know that will help him better protect his fighter both in the gym and during competition. The exam will be given by the Athletic Commission within the State that the trainer is licensed and must pass if they are to accompany their fighter into the ring or cage. * Mandating that cameras be installed in the gym where films are subject to audit. * Not over matching a fighter in sparring. *Stopping a match if one fighter started taking too much punishment. *Recording the number of blows a fighter takes in every sparring match which can then be combined with the total number of blows he also takes during a particular bout. Collectively the two sets of data can help establish a maximum limit of the number of blows a fighter is allowed to take within a certain period of time. The establishment of record protocols can inform fighters, parents of fighters or parents who are simply looking for their child to learn self -defense, determine if the gym is certified and thus adhering to sound rules that protect athletes from abuse. The Pug Ed certification of a gym can be awarded by a governing body. The revocation of a gym's certification would require the gym to close down, just as a restaurant would be required to close if was in violation of sanitation rules. The potential for TBI must be taken just as seriously, if not more so, than the negligence that causes food poisoning. 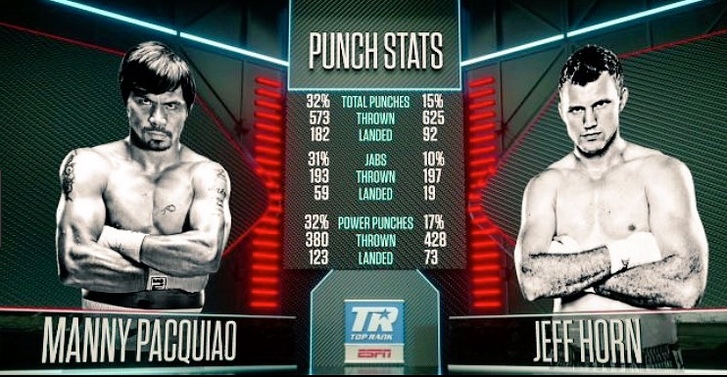 Punch stats of blows to the head from both sparring and actual fights need to be collected, recorded and archived for scientific research. Records of blows to the head that have been accumulated in both sparring and actual fights along with brain scans and neurological testing will not only help to better protect fighters, but may also help physicians and scientists gain a better understanding of how much punishment is required to both establish certain thresholds of punishment that when crossed are linked to progressive neurological diseases. Driver’s Education or Driver’s Ed was created to teach people not only how to drive, but also drive safely. Similarly, the same kinds of measures are needed for those who license, mentor and engage in contact sports. Given developments in neurological research and the highly publicized effects of blows on players in the NFL as well as football players in high school and college - boxing and other combat sports should no longer be allowed to continue to fly under the radar of medical scrutiny and precautions. For the sake of safety, prevention, and providing medical science with important data to find a cure, coaches and gyms need to be required to become properly certified and partake in “Pug Ed” protocols. Older PostThis Deadly Practice Needs to Be Eliminated From Soccer - Permanently!